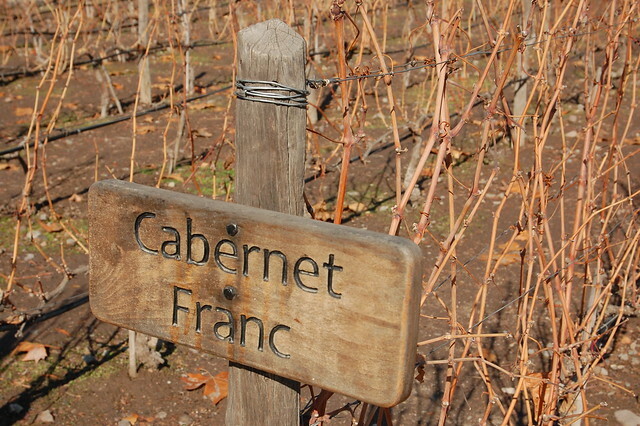 Beyond the incredibly diverse landscapes worth visiting all over Chile, the country is also well known for its wine. 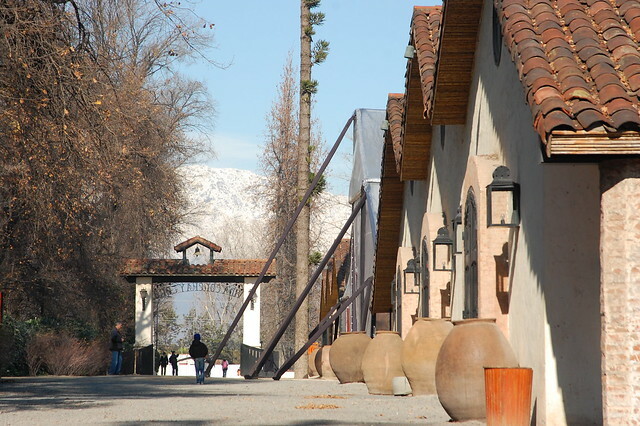 Though I’d spent quite a bit of time visiting the various wineries around Mendoza, Argentina, before July, the closest I’d gotten to an actual winery was glancing it through the windows of my bus to Santiago. 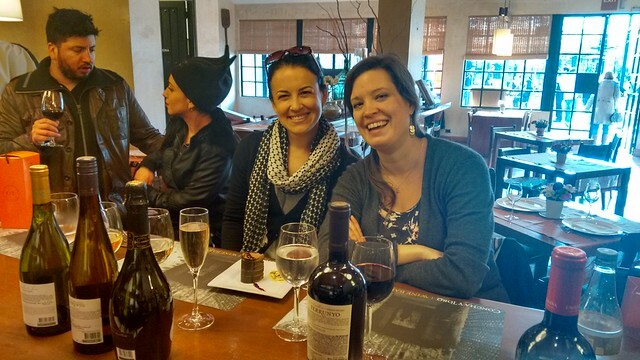 After trying so much pisco, I was interested in tasting some Chilean wine varietals, and I used my friend Sara’s recent visit as an excuse to go. Welcome to Viña Concha y Toro! There are several valleys near Santiago which are famed for their wine producing climate, but visiting most of them requires renting a car or taking a tour, something I may well do at another moment when I have more time and funds. 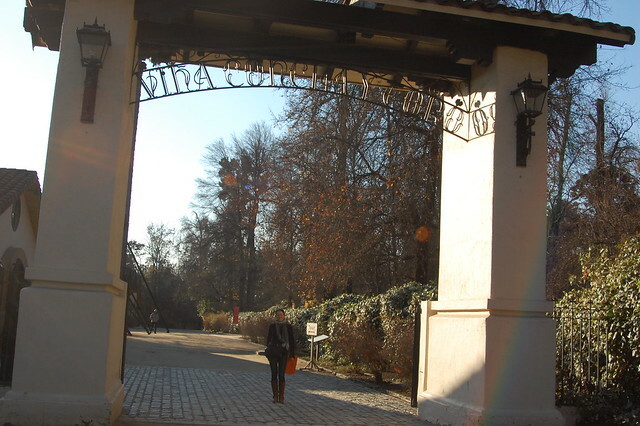 But there is good news for the budget-oriented wine lover: there are several wineries located on public transportation around Santiago, and one of the most famous, Viña Concha y Toro, is even accessible by Santiago’s metro! 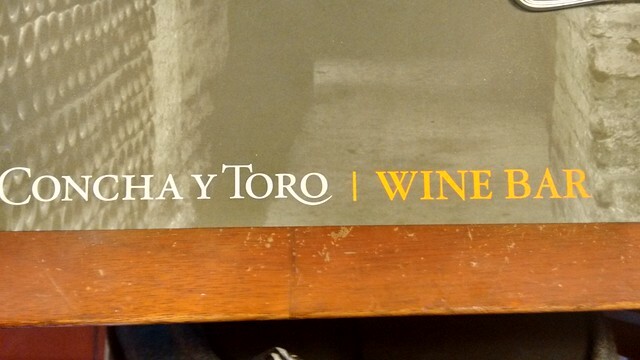 Concha y Toro is most known for its widely available brand, Casillero del Diablo. When I lived in Lima, this was the wine most often available in neighborhood shops; it is dependable and fairly tasty for about $10USD. So I asked myself, why not visit where the vineyard where it is produced and try out a wider variety of the winery’s offerings? 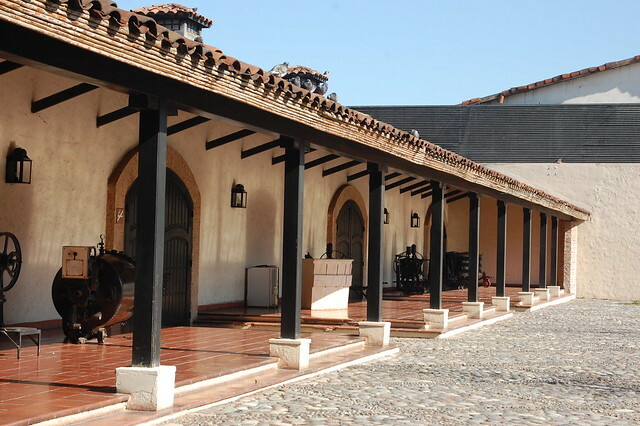 In order to visit Concha y Toro, it is a good idea to reserve a tour on their website, although they are usually so busy that there is likely to be availability if you show up without a reservation. We decided to splurge for the premium tasting ($20000CLP per person), led by a sommelier, and paired with a cheese platter. Arriving at Concha y Toro is fairly straightforward. You take Línea 4 (Line 4), or the blue line, of the Santiago metro to the Puente Alto stop, which lets you off in a busy shopping district. From there, you hail any taxi and tell them that you are going to Viña Concha y Toro. They will charge you a fixed price of $3000 and drop you off at the gate. When you leave after your tour, you can grab a cab at the taxi station around the corner from the vineyard. Super easy! The tour itself is fairly basic. 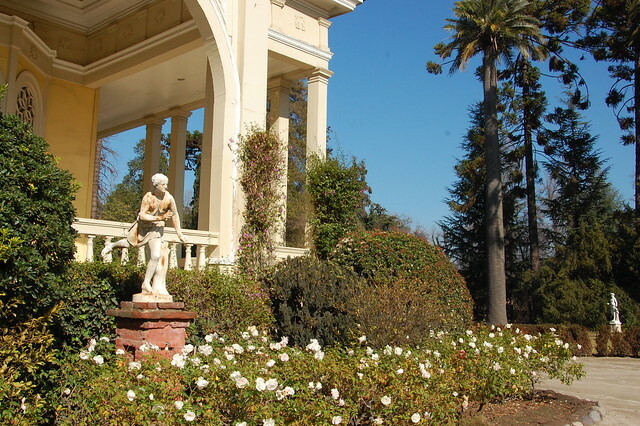 First, you head to the attractive house where they hold major events and take pictures of the scenic property. Next, you head to the tasting vineyard, where in the summer there are vines of several varietals of grapes so that you can compare their flavor. In winter, it was brown but attractive. From there, you head into the storage room where the wine is aged in barrels, hearing a bit about the process of making wine along the way. 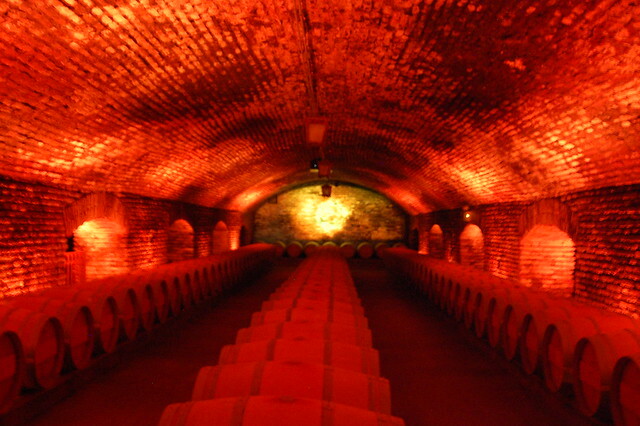 After this brief overview, the tour guide leaves you inside to watch an entertaining multimedia presentation about the legend of the winery and where it got the name, Casillero del Diablo. Both the regular and premium tours end with a tasting of some of the most commonly available wines as well as a premium wine. They hand out a souvenir wineglass as well as a box to take it home in, a nice touch. After this first tasting, it is time for the premium tasting with the sommelier. 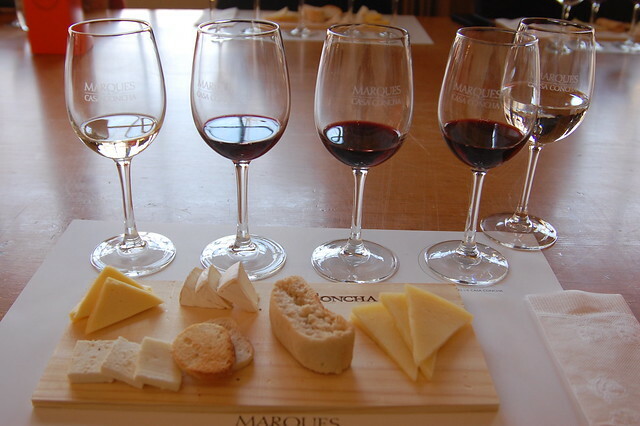 I appreciated the chance to sample some of the more unusual varietals of wine and try to see how they matched with the cheese most commonly available in Chile. Enjoying the Wine Bar at Concha y Toro with Sara! 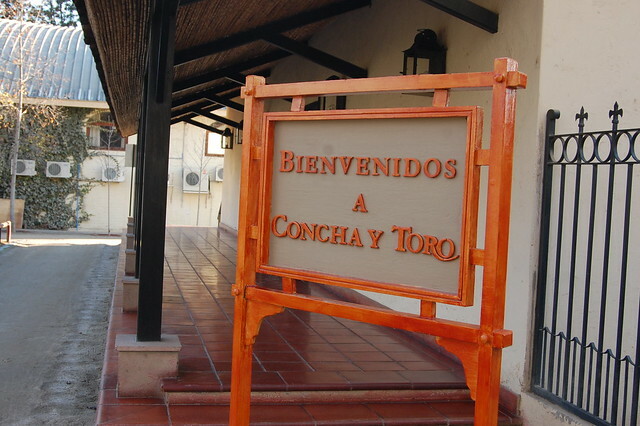 If you’re not that interested in taking a tour, Concha y Toro has an on-site restaurant and wine bar, with outside seating for those lovely sunny days and a full menu that includes vegetarian options. Sara and I opted to sit inside at the bar, and I tried a nicer glass of wine while she went for a tasting flight. It is a good way to save some money but still get a broad range of flavors. Of course, the winery also has a giant store for buying any kind of wine you want at slightly more affordable prices before heading home in a pleasant wine haze. As usual, I always visit wineries when traveling to several locations, so I opted out, but it is always an option! 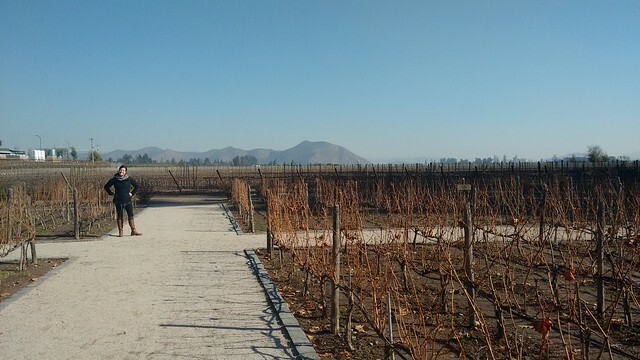 As you can see, visiting the winery was a pleasant day trip to make the most out of the chilly winter weather in Santiago. On our visit, the skies were clear, giving us an awesome view of the snow-covered cordillera from the metro. The area around Puente Alto was also interesting and very different from the high rises of Providencia, so I suggest wandering around and taking advantage of the delicious street food around the plaza. Check out the scheduled tours at the Concha y Toro website and make a reservation before you visit. To get to Viña Concha y Toro, take Línea 4 (the blue line) to Plaza de Puente Alto. Outside the station, hail a cab and tell them where you are going; it will cost $3000CLP. While the tour is interesting, it is not the most educational one I have ever been on. If you already know about the wine making process, you can save money but still sample a number of wines by ordering a flight of wine at the wine bar. Here is a little more information about visiting the winery, including directions on how to walk there if you so desire!